Alsahwa Net- The United Nations Special Representative for Children and Armed Conflict Virginia Gamba has stated that an understanding memorandum was signed between the United Nations and the Arab Coalition. Gamba revealed that there is a cooperation between the United Nations and the Arab Coalition to create a child protection unit, pointing out that the UN will set of a training programme to raise awareness about child protection. She spelt out that the Houthis commit grim violations against children, stressing the importance of ending violence and risks against children. Yemeni activists say that no a day passes without the disappearance of children, clarifying that after children are killed, the Houthis admit that they were fighting to their side. Many families are shocked when their sons are brought back to them as corpses after they are abducted by the Houthis, mostly from schools, the sources added. 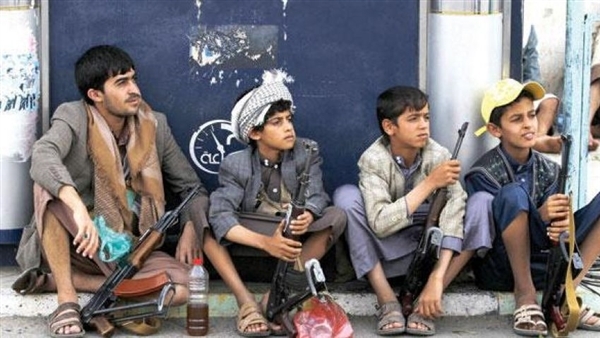 Yemen’s human rights minister has accused the Iran-backed Houthi rebels of recruiting 25,000 children and involving them in their senseless wars.